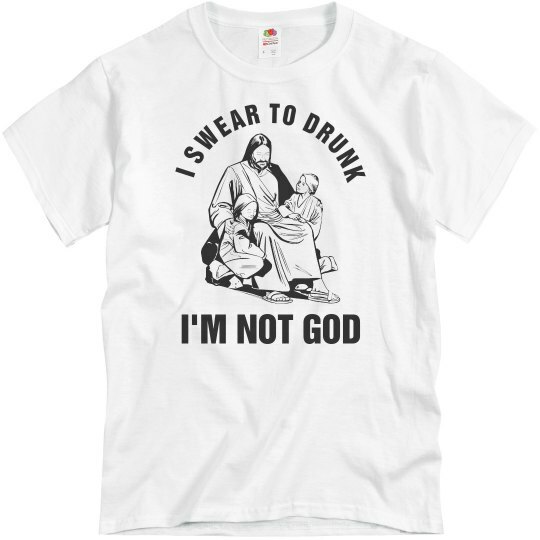 I swear to drunk I'm not God. Geez how drunk are you? You're starting to scare the children...Of course I scare the children, I am their Messiah. My dad sent me down to scare the hell out of everyone.